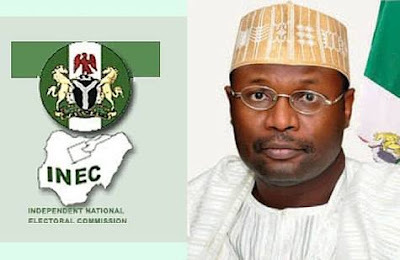 For the third time running,the National Assembly yesterday deferred its final decision on the Independent National Electoral Commission’s (INEC’s) N189.2 billion budget proposal for the conduct of next year’s elections. The National Assembly joint committee yesterday put on hold further consideration on the proposal after its members failed to resolve some grey areas in the proposal. At issue were the differences in modalities between the estimates sent to the legislature by President Muhammadu Buhari and the version submitted to the lawmakers by the INEC, even though the figures were the same. Buhari had requested immediate approval for N143 billion, while the remaining N45 billion be processed with the 2019 annual budget. But in its own proposal, the INEC asked for the N189.2 billion in one fell swoop, a request that raised dissenting voices among the lawmakers. Budget and National Planning Minister Udo Udoma, who made a presentation to the committee, aligned with the position of the INEC. Apparently mindful of the delay in the passage of the yearly national budget, Udoma argued that shifting the processing of the N45 billion to the 2019 budget might put the INEC in a tight corner. For instance, the 2018 budget was passed in May, just as it was in the two preceding years. If the INEC has to wait for the balance until the passage of next year’s budget,it may never come until after the elections. The minister explained that the N189.2 billion request, as presented by the President, was to be vired from funds already appropriated for some projects in the 2018 budget. He was, however, quick to clarify that such virement would not affect the N100 billion already allocated to constituency projects of National Assembly members. But the lawmakers were divided on whether to isolate the N143 billion meant for the INEC from the N45 billion meant for the various security agencies for election duties. The affected security agencies include the Office of the National Security Adviser, the Department of State Services (DSS), the Nigeria Police, the Nigeria Security and Civil Defence Corps (NSCDC) and the Immigration Service. Some of the legislators argued that the processing of the budget proposal for the security agencies was outside the committee’s mandate, opting to refer that aspect to the Security Committee of the two chambers of the legislature. But some others canvassed that it should be accommodated in the ongoing process because the N45 billion budget for security was part of election expenses. Another area of disagreement was the source of funding for the N189.2 billion with the lawmakers sharply divided over the matter. In the course of deliberations, some of the committee members said the source of funding should be left to the Appropriation Committee of the National Assembly to decide. In his letter to the National Assembly, President Buhari had raised issues about source of funding for the entire election budget, reason why he requested that only N143 billion be processed for now. Relying on the President’s position, the lawmakers pointed out that processing the N189 billion at this point would overshoot the 2018 national budget, as passed by the legislature and assented to by the President. At every point the Chairman of the INEC, Prof Mahmood Yakubu, was given the opportunity to make his contribution, he kept reeling out the deadline for the first round of elections in the commission’s timetable by counting the days, hours, minutes and seconds. At a point, some of the committee members jocularly said they were being intimidated by the INEC boss’ time count. The meeting resolved that the committee should limit its consideration to the N143 billion the President tabled before the legislature for immediate action. It also decided to commence deliberation on the N45 billion for the security agencies as promptly as the President presents that request to them, even before the end of the year. On this note, the Chairman of the Senate Committee on the INEC, Senator Suleiman Nazif, adjourned the session indefinitely. Also addressing the joint committee yesterday, the Senior Special Assistant to the President on National Assembly Matters (Senate),Mr. Ita Enang, has expressed concern over the National Assembly’s silence on Buhari’s request for consideration of security agencies’ budgets ahead of the 2019 elections. Enang, said the focus had been on the INEC Budget. “My concern is that much is being said about the INEC budget. Mr President also submitted budgets for the office of the NSA, DSS, Immigration, Police and NSCDC. “These are budgets relating to the conduct of the 2019 elections and all I have heard and noticed emphasised is the budget of the INEC. Enang said that there would be challenges in the conduct of the elections, if the budgets of the security agencies were not considered. His words:”If we pass the INEC budget now and do not pass the other related budgets, we will still have problem. Responding, the Chairman, Senate Committee Chairman on the INEC, Suleiman Nazif, said the committee was only concerned with the INEC budget. “This committee is essentially involved with INEC,” he said. Apart from the N189.2billion budget proposal for the INEC, government also earmarked N4.3 billion for the Office of the Security Adviser, N12.21 billion for DSS and N3.6 billion for Nigeria Security and Civil Defence Corps. The Nigeria Police Force got a proposal of N30.5 billion, while N2.6 billion was earmarked for Nigeria Immigration Service.